U.S.A. designed and manufactured for industrial, municipal or construction jobs. Easy attach to attach and simple to operate. Sweeps and collects all kinds of debris in factory, car parks, road construction, stock yards, shipping containers and more. 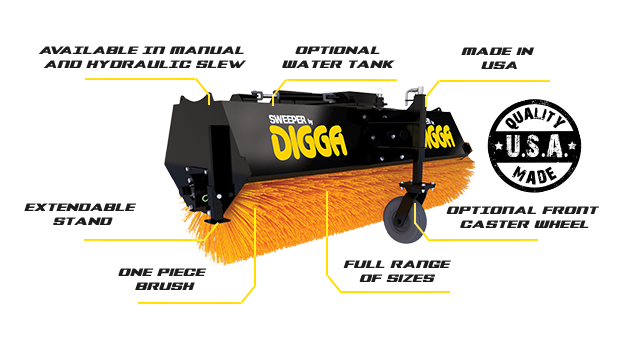 Our Sweepers are manufactured in-house by Digga. We use only the highest grade materials and strictest quality control.